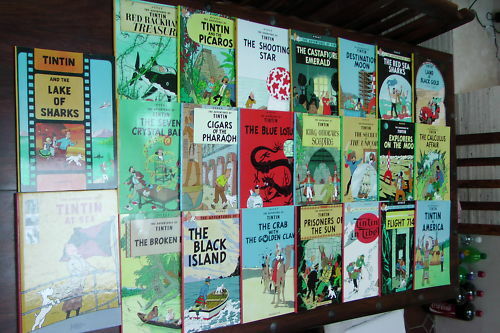 A rare opportunity to obtain a complete collection of the Tintin comic series, including a rare extra book 'TINTIN AT SEA' studying the beauty of everything nautical in the series. From his first appearance in 1929, the globe-trotting boy reporter has been in many spectacular adventures, all depicted in this beautiful set of comics. A treat for any audience young or old. Dont miss out on this wonderful addition to your bookshelf.